Save 25% off any R.W. 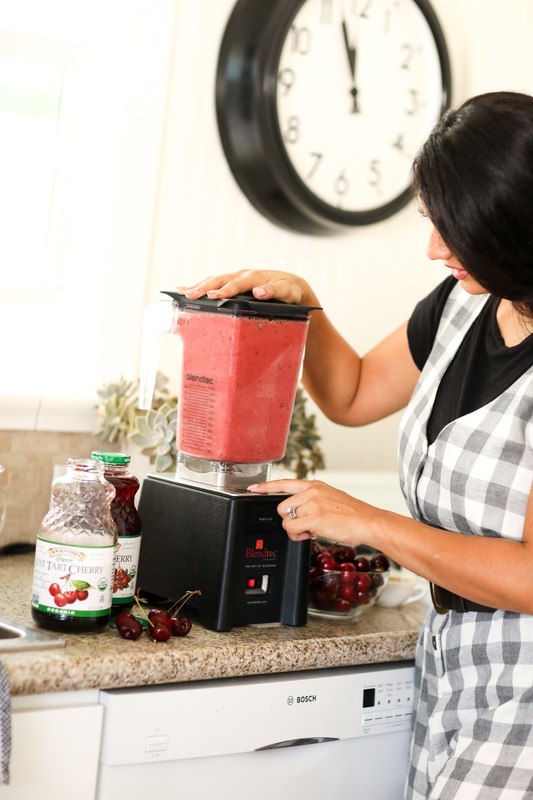 Knudsen Juice with Cartwheel from 8/5 – 9/1 in the offer linked here! My outfit details: F21 plaid button-front culotte jumpsuit, stretch baby t-shirt, brown leather belt (similar), and sandals, old (love this one). Oh, my, oh, my! It has been a hot summer here in Southern California! It is time to beat the heat with a refreshing cool drink with R.W. Knudsen Single Fruit Juices from Target. I have the best recipe for a delicious non-alcoholic drink that will cool you off in an instant! The perfect thing about this recipe is that it is easy to make with a short ingredient list that I will share with you in just a bit. In the meantime, I want to highlight the main ingredient in this simple recipe and that is R.W. Knudsen Fruit Juice. If you are new to R.W. Knudsen Fruit Juice from Target, I am happy to make the introductions now. Since, 1961 R.W. Knudsen has been bottling organic fruit juices. He was absolutely passionate about bottling organic juices for his own family. Currently, the companies partners with local growers around the country who share the same commitment to providing organic juices. I love the tart and refreshing flavors of their juices. 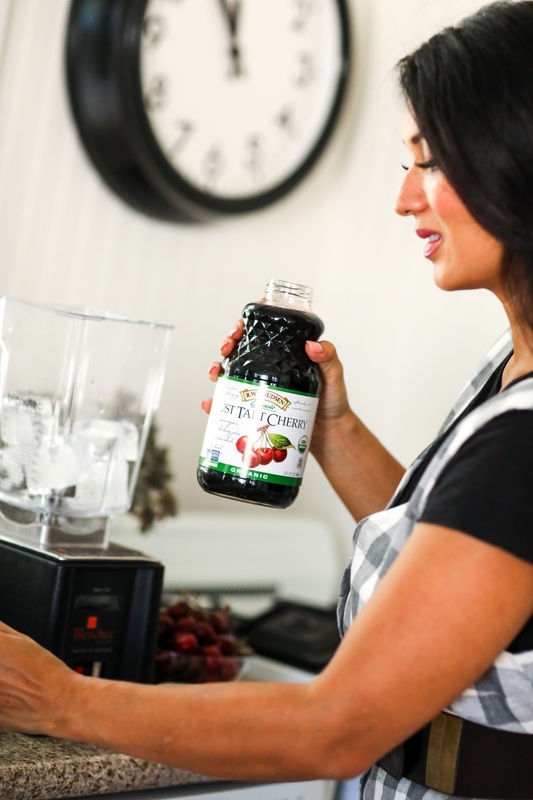 Organic Just Tart Cherry® Juice and Organic Just Cranberry® Juices taste amazing! These two flavors are a part of the R.W. Knudsen Fruit Juice family. There are so many things that I love about R.W. Knudsen Fruit Juices. For me, taste is the most important determining factor in quality. These single-fruit, unsweetened, 100% juices are undiluted to provide the maximum taste associated with each respective fruit. When you take your first sip you will notice the difference immediately! 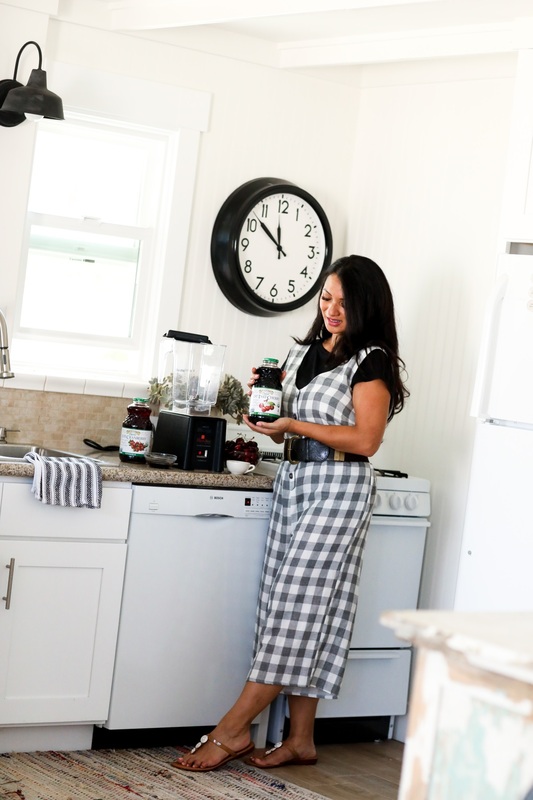 Organic Just Tart Cherry Juice and Organic Just Cranberry Juice from concentrate are non-gmo project verified, USDA organic, contain no artificial flavors or preservatives, and unsweetened. Only ALL natural ingredients are used…a huge plus for me! Another bonus? It is available at your local Target. So, while you are shopping for back-to-school, you can pick up a bottle or two of R.W. Knudsen Organic Just Tart Cherry Juice and Organic Just Cranberry Juices! Right now, you can Save 25% off any R.W. Knudsen Juice with Cartwheel from 8/5-9/1 in the offer linked here. Now, the moment you have been waiting for! Check out my delicious and easy refreshing summer drink featuring R.W. Knudsen Organic Just Tart Cherry Juice. It is my version of your typical slushie found at your local gas station but homemade! So, easy to make and it will definitely cool you down during the hot summer days in a flash. They are perfect for get-togethers and summer parties and my kiddos love them too! 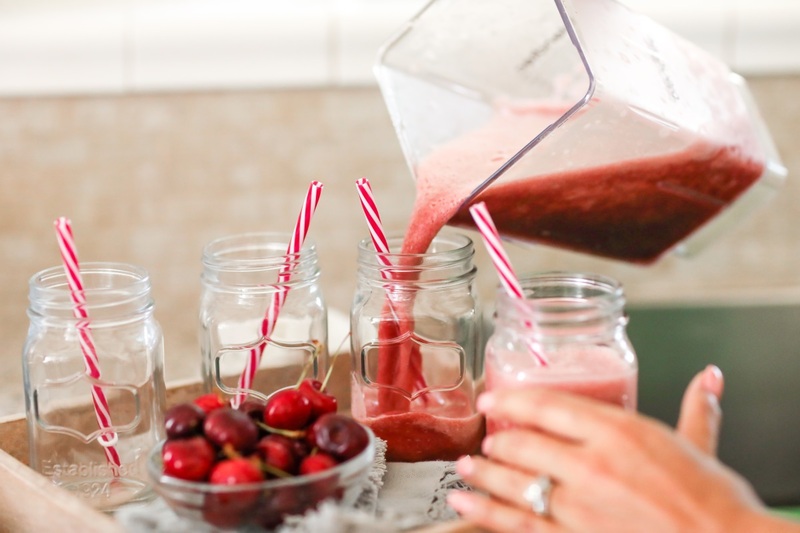 Your thirst will be quenched with my easy refreshing summer drink recipe. In addition, the juice alone is perfect for that afternoon pick me up! The taste is extraordinarily and I love to have this juice during lunch. Reach for R.W. Knudsen Organic Tart Cherry Juice and Organic Just Cranberry instead of soda or other sugary drinks. I love that is all natural with no artificial flavors. Make sure to chill it beforehand or add some ice. It is the perfect drink for those hot summer days (picnic, outdoor parties, pool parties, etc.,). Directions: (1) Add all of the ingredients into a blender and pulse for about 2 minutes. (2) Pour into your desired glass. (3) Serve and Enjoy! Tip: If you find your slushie is too runny, you can add a bit more ice and blend again to reach a thicker consistency. can’t wait to try this looks so refreshing! Thank you so much! I hope you enjoy it as much as I do. That drink looks so good. Thank you so much Ray! A nice blend of tart and sweet! But, more tart which I love! I like this drink! Homemade slushies are the best. It will be a perfect drink for summer get togethers. Hi Roger! Thank you! It is so good right? Slushies are the best! We make slushies all the time, so I will have to pick up a bottle of this juice the next time I am at Target! Slushies are the best! We also make them with our kiddos! That sounds so good. I’m a big fan of tart cherry juice. It is super healthy for you, and the taste is great. I like to just dilute it in water to make my hydration more fun! This sounds so delish! I actually just tried this brand a few weeks ago because I found it in my moms fridge! I will have to recreate this for sure. Hi Allison! I hope you enjoyed it! I haven’t tried this brand yet. 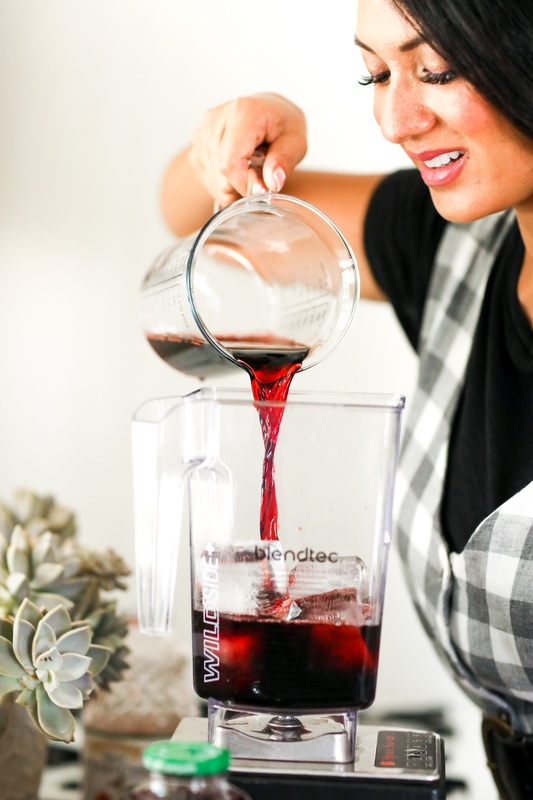 I am going to add this to my grocery list and follow your recipe for this awesome drink. What a delicious way to enjoy the remainder of the summer season! Thank you so much! It is so yummy and refreshing! I love that they have an organic version now. I wonder how the slushie would taste without the liquid from the maraschino cherries. Cherries are my fave! I love how cute your dress is and how pretty the drinks are! Super yummy! 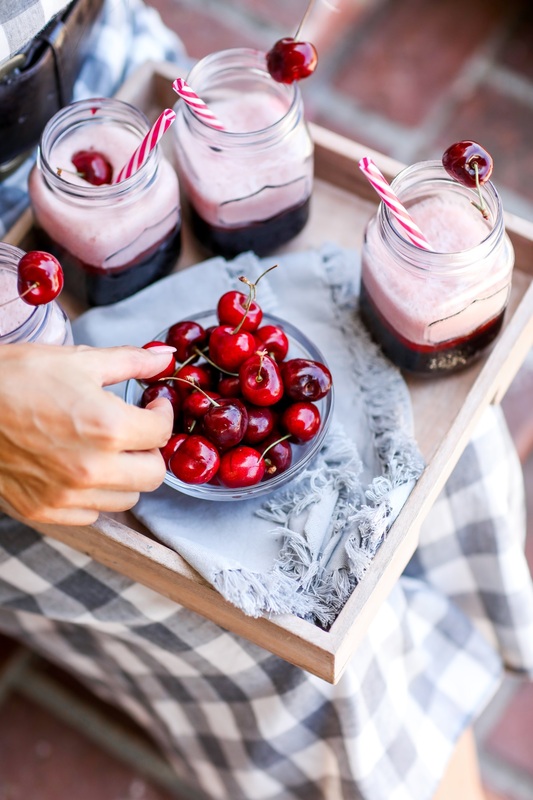 A cherry slushie sounds so refreshing for the summer. I have never tried this juice but I go to Target all the time, so it’s on my grocery list now. Hi Estelle! Great! You will really enjoy it! Cranberry juice is one of my favorite drinks. I’ve never tried this brand before. I love that it’s organic! Thank you! It is very yummy! MMMM! This is EXACTLY what I need on hot summer Texas days! 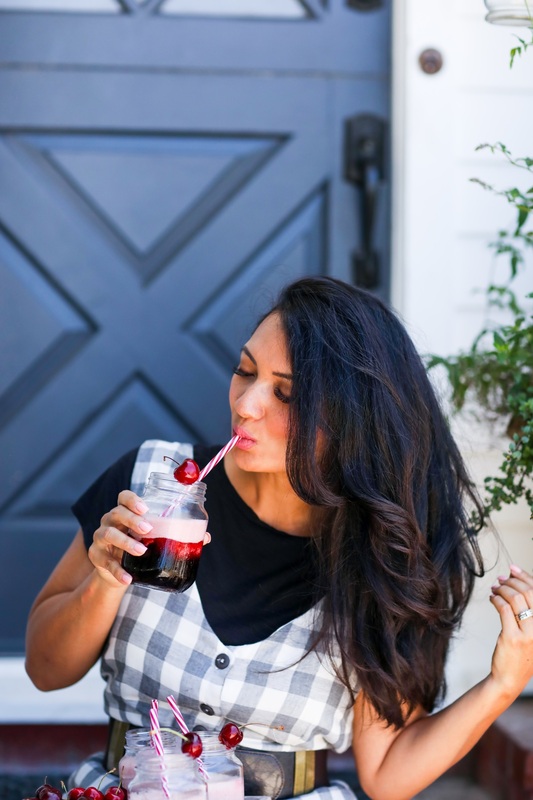 I love cherry drinks, too, so it’s perfect for me! I can’t wait for you to try it! Let me know what you think. It looks amazing! Such a refreshing beverage! So perfect for the summer! You are so right! So, perf for the summer! I don’t think I have ever had tart cherry juice. I can think of so many things I would use it in! Hi Rachel! It is a juice that is unique and delicious! I think you will really love it! I’ve never had cherry juice before, but I love cherries. This sounds like a yummy drink! 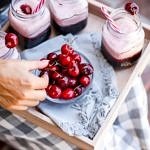 Cherries are my absolute favorite, even in the summertime! I need to try this drink for sure! Hi Brianne! You would really love this drink! I love cherries. That drink looks so refreshing and delicious.